Y'all, you do realize this is intentionally one giant joke...right? A lot of people thought that Weezer was just a vessel for Cuomo, the rest of the act just going along with it and not contributing much bar the bare essentials, maybe a little backing falsetto to help things out. Not on Red Album though. This is A LOT better than “Make Believe”! It can be dumb fun and when it reaches its highs, they’re really big highs. But “The Red Album” feels extremely disjointed and Rivers’ lyrics are still pretty bad. 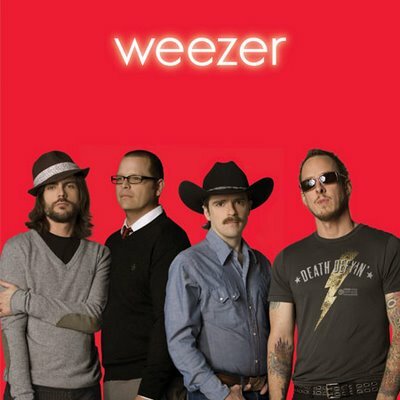 Purchasing Weezer (Red Album) from Amazon helps support Album of the Year. Or consider a donation?